Obituary for Joseph A. "Joe" Job | McCombs Funeral Home Inc.
Joseph A. 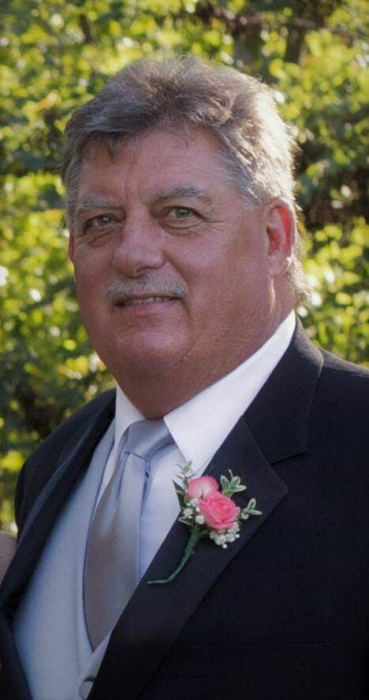 Job, 66, of Cape Girardeau, passed away Saturday, January 26, 2019, at his home in Cape Girardeau. He was born December 26, 1952, in Cape Girardeau, to Albert W. and Edna I. (Heisserer) Job. Joe was a 1971 graduate of Jackson High School. Afterwards, graduating with a Masters in Business from SEMO. He was a farmer, spending most of his life helping out at the Job Family Angus farm in Cape Girardeau. As well as farming, he spent previous years in restaurant management. Joe was a passionate music lover and above all loved his daughters, Brittany and Erica. He loved animals and had enjoyed sharing his beloved pets with the community. His eyes would glisten at the sight of a classic Corvette as well. Other hobbies were playing electric guitar, fishing, being quizzed with Trivia questions, and sharing his humor with anyone who needed a laugh. He attended St. Mary’s and St. Vincent’s Catholic Churches. He is affectionately remembered as a loving father and brother who took pride in his family and farming. Loving survivors include his beloved daughters: Brittany (Chris) Heins and Erica Job; and nine siblings, Marilyn (Allen) Schott, Albert W. Job Jr., Nancy (Ronald) Davis, Susan (Mark) Holzum, Carolyn (John) Ryan, John Job, Thomas Job, Mary Job, and Linda Schmitt. Joe had numerous nieces and a nephews as well. He was preceded in death by his father Albert W. Job, mother Edna I. Job, and brother-in-law Terry Schmitt. In lieu of flowers the family request memorial contributions be made to McCombs Funeral Home and Cremation Center to aid the family with final expenses. Please click on the appeal for donation button to be directed to the link to make your memorial contribution. The Celebration of Life Memorial gathering will be on Saturday, February 2nd at the lower level of the Knights of Columbus Hall in Jackson, Mo from 2pm-7pm.